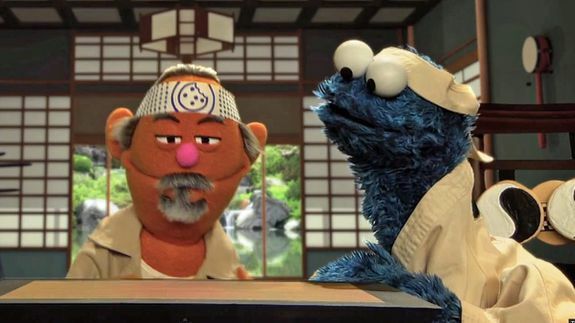 Cookie Monster Takes a Bite Out of Hollywood in Movie Spoofs - trendistic.com: ever tried. ever failed. no matter. try again. fail again. fail better. Cookie Monster’s greatest life passion is devouring sweet treats (duh), but did you know that he is also a movie buff? The National Film Society teamed up with Sesame Street‘s hungriest monster to talk about his favorite films, and show off his acting chops in spoof versions of the biggest mainstream movie hits. Watch Cookie “snack on, snack off” in The Karate Kid and rock Captain Jack Sparrow-style dreadlocks in The Pirates of the Caribbean. We’d give a lifetime supply of cookies to see full-length versions of these silly remakes. After a series of objections from the India’s Censor Board, Bollywood film Udta Punjab was recently cleared for release with just a single cut….